Low and menacing as it lurches forward, one of these tanks creates an imposing presence while it patrols the streets of Imperial-occupied worlds. Able to operate in the tight confines of cities or on open battlefields, the Occupier Combat Assault Tank can frighten those who oppose the Empire into submission with its weapons and appearance alike. 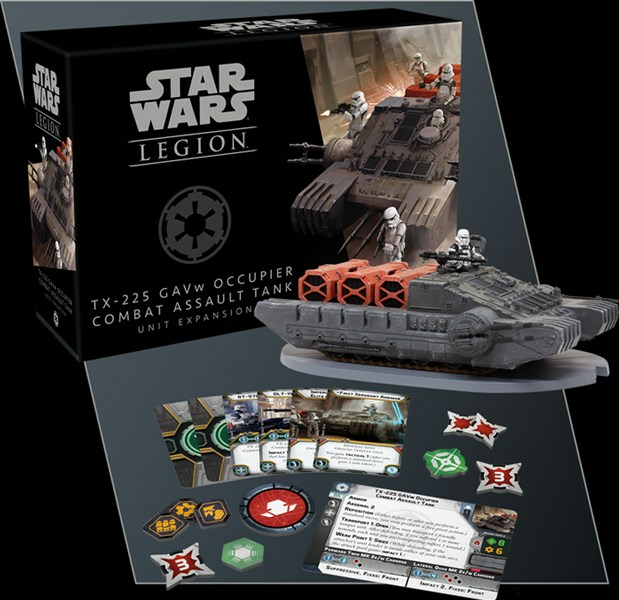 Soon, you can add another massive Imperial war machine to your Imperial armies with the TX-225 GAVw Occupier Combat Assault Tank Unit Expansionfor Star Wars™: Legion.